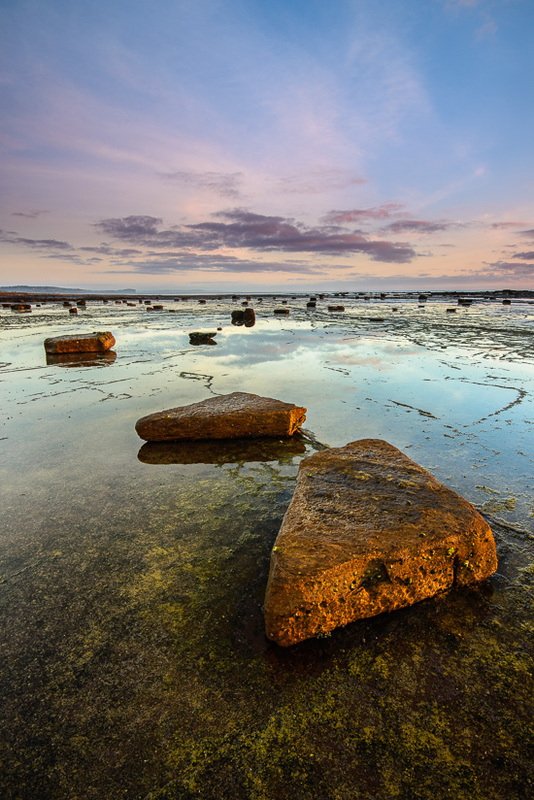 One more from dawn at Long Reef on Sydney’s Northern Beaches. It’s 5:56AM and just eight (8) minutes after sunrise – though even that is still a little blocked by the cloud right on the horizon to the right. Still the sun’s golden light of dawn is beginning to shape the landscape and soon the rocks of long reef are bathed in it’s golden glow.